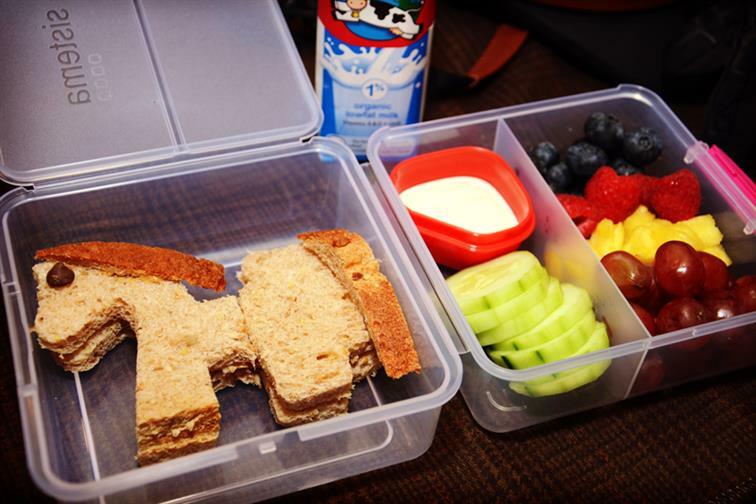 Wait until your child opens their lunch box to find this cute sandwich. Simply use cookie cutters of their favorite sport or hobby and various seasonal cutters throughout the school year. Try to avoid the juice boxes and get them drinking milk at lunch. Always include seasonal fruit, and if they are not big veggie eaters, everything tastes better dipped in ranch dressing. It’s easy to get your children to eat healthy when their food is cute and colorful!